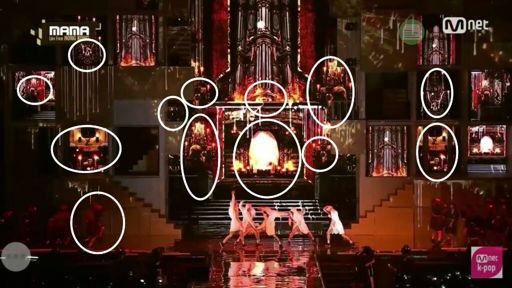 ​I’ve noticed that several of BTS’s performances are saturated in Satanism and occult symbolism and rituals. Im sure to catch a lot of hate but I am merely pointing out things many are unaware are occult symbols. Aleister Crowley, a high priest satanist wrote about the significance of public performance rituals, and how to cast spells on mass audiences by incorporating certain moves and decor into the performance. The act of public performance rituals goes back to the Babylonian times,even Shakespeare incorporated satanic rituals into his plays. First for those unaware of some or all the symbols heres a brief map of the occult symbolism I will be pointing out. Pyramid/triangle – egyptian pyramids, relates to eye of horus, tower of babel, occult hierechy. The upside down triangle is the symbol for water in alchemy. Also the triangle of manifestation is used in rituals and spellcasting to project incarnations of entities into the audience. For a successful manifestation bring 3 components together is essential, space, time & energy. Archway/portal – portal from the abyss, allows demons to enter our world/realm. .
and then the scene right after at 5:30 with v and the claw marks?? 0:34 in the bts short film for awake, it’s jin again with the forbidden fruit (apple). 0:55 the way his hand is positioned kinda looks like he’s dead and it fell from his hand. pretty sure it means he bit into it. darkness begins to fade in the room (1:08) – the mirror translates to “you need to survive” and “i didn’t have a dream”- “i need to survive”…. 3:07 don’t know what the bird means but the wallpaper is of abraxas, a pagan god and demon tied with satanism. yikes. also- holding an apple in its right hand…? 5:10 jin’s own symbol is a net. probably because he’s trapped in his deal. there is also some symbolism in some of the other short films. jin’s video can also just be a continuation of the other short films but i still think the inclusion of the wallpaper and apple is odd. The one you’re talking about, the one about Yoongi shaking hands with what seems to be death, isn’t really death. It’s the darkness that adulthood has, which is why there is the wall that has Youth written on it. He shakes hands with it only to burn it. Thus my theory is that he just sent death to the lake of fire..
Do you believe he sold it irl or just in the mv? I believe it’s Just within the music video.